The gift giving is starting early for players of sidescroller Elsword and it is set to continue into the new year: the expansive new update provides a whole new region for players to explore. The update also marks the starting point for the release of more new dungeons and festive events. By going through the portal in the depths of the El Tower, players reach the eerie region of Varnimyr, where they can prove their strength and test their courage in new dungeons and matched events. 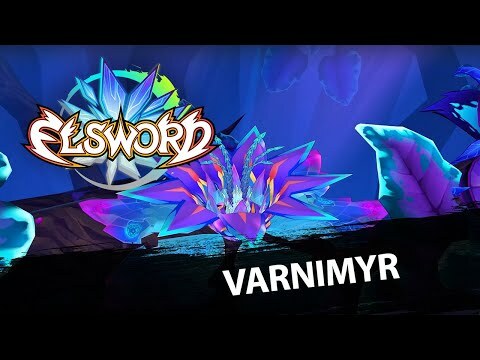 In Varnimyr, players battle their way through four new and challenging dungeons as well as three boss raids, which will open up bit by bit over the coming weeks (in December and January). 18/12/2018 – 14/1/2019: During this period players will be greeted with a special quest every day. Their efforts will earn them scrolls, mounts weapons and other great rewards. 24/12/2018 – 1/1/2019: Christmas is a time of giving, in Elsword too! Players will benefit from buffs and reduced cash items during the event period.